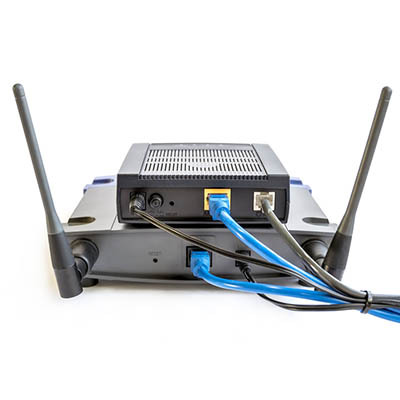 The malware in question, VPNFilter, hides in routers for both individual users and small businesses with the intention of persisting even if the device has been rebooted. VPNFilter targets devices that are Ukraine-based most of the time, but others have been known to fall victim to this as well. It’s thought that the VPNFilter malware originated from a group called Sofacy. The malware itself takes three steps to become an issue for your organization. The first is that the malware sets itself up so that it will persist even if the device is rebooted or turned off. The second stage of the attack consists of the malware installing permissions for itself to change router settings, manage files, and execute commands. This allows the router to essentially brick itself, leading to considerable connectivity problems. The final stage of this malware lets the hackers look at the data packets passing to and from the device, as well as the ability to issue commands and communicate through the Tor web browser. The reason why the FBI recommends resetting your router is because the second and third steps are wiped when you do so, but the first stage remains regardless. The best way to resolve these issues with VPNFilter is to perform a factory reset for your router, which completely deletes anything installed during the first stage of the threat. If the router’s manufacturer has administered a patch for the vulnerability, you can also install it following a factory reset so that you’ll never have to deal with this vulnerability again. For more updates and tips on some of the latest threats, keep an eye on Kornerstone Technology Inc.’s blog. No I have no idea about this, but I think it's very important to learn about this. For more updates, click on http://www.bestessayuk.com/ and enjoy this for yourself.